Dean Lucas and Adam Coleman, two surfers from Western Australia, drove to Mexico from Edmonton in search of waves. But they disappeared after taking the ferry on Friday, November 20, from La Paz, Baja California Sur, to Topolobampo, Sinaloa. 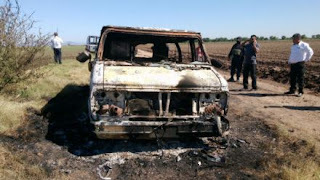 Then, on November 21, their burned-out Chevy van was found on a dirt road near an irrigation channel in Navoloto, Sinaloa. There were two bodies inside. Officials are awaiting DNA confirmation that the human remains are those of the surfers, both of whom were 33. We don’t have the details on who might have killed the surfers, but it is safe to say that the alleged murderers are no longer near the scene of the crime, and may not even be in Sinaloa. This part of Mexico is controlled by the Sinaloa cartel. Criminal activity is ‘approved’ by the cartel, which is one of the most powerful criminal organizations in the world. News like this is the last thing the cartel, or the government, wants. Which is to say: whoever did this is now on the run. One oddity is that the van was set on fire. This makes little sense from a criminal perspective, unless one takes into account the underworld infrastructure in Sinaloa. In order to be of any value, the van would have had to have been taken to a chop-shop, where it would have been re-painted and re-plated. The criminals could not do that without drawing attention to themselves – and that would have been a death sentence from the Sinaloa cartel. The van, which had Canadian plates from the province of Alberta, and was registered in Coleman’s name, was found between Juan Aldama (El Tigre) and San Blas in the municipality of Navarato. This is a rural area near Sinaloa’s largest city and state capital, Culiacán, and is about about 100 km down the coast from the Topolobampo ferry terminal. The last sighting of the two men – who were originally from Golden Bay, a suburb of Perth, Australia – was at a convenience store near Topolobampo, where they were asking directions for Mazatlán, another 200km south of Culiacán. It seems their intention was to drive through the night to Guadalajara, where Coleman’s Mexican girlfriend, Andrea Gomez, is from. In all likelihood, the surfers either picked up hitchhikers, or got lost and – perhaps simply by asking directions – were drawn into contact with the criminals. Three arrests have now been made. The three criminals allegedly passed themselves off as police officers, and robbed motorists on the Mexico-Nogales highway. They mounted an emergency light on their vehicle and stopped vehicles in the municipality of Navolato. All three have allegedly confessed to their involvement in the shooting the two Australians in the van on the night of November 20. Two of the suspects were found in possession of a Jeep Cherokee, in which police found firearms, ammunition, computers, and fake police uniforms. One of the three men arrested was carrying a 357 magnum, which has been identified as the gun used to shoot at least one of the two men in the van. Two others are being sought in connection with the case. The last hours of the Australians' lives are now known in more detail. At about 12:30 am November 21, they were caught on security cameras in a convenience store in Los Mochis, where they had stopped to ask directions. Then security cameras again picked up their van at 12:57 when it left Los Mochis, and again at the Las Brisas toll booth about an hour and a half later. Soon after that they were pulled over by the gang. According to the confessions, a long-haired occupant of the van, likely Adam Coleman, resisted as the criminals tried to bring him to their vehicle. He was then shot, with the second man, Dean Lucas, presumably shot shortly thereafter. The two were put in the back of their van which was then driven to a back-road in the community of El Tigre, where their captors shot them again and set fire to the van. NB: The speed with which the criminals were apprehended, and the confessions, should be treated with some caution. This gang was likely operating for some time, and with relative impunity. 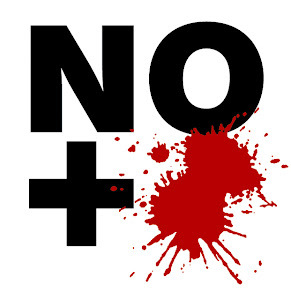 On average, 95% of crimes in Mexico go unsolved – including the most violent. Confessions are regularly beaten out of suspects. The mistake made by the criminals may have been the killing of the Australians, not the highway robbery, which was possibly occurring with some regularity, with the gang cutting in the police forces for not patrolling that section of the highway. When something like this happens we have, yet again, the whole ‘Mexico violence’ discussion. There are often only two responses, neither of which is accurate or helpful. The first is from the Gringo In Denial. Many gringos turn a blind eye to the reality in Mexico, and refuse to acknowledge the levels of violence that exist here, and that this violence affects innocent people every day, not just narcos. Worse, these foreigners seem to think that the drug war is some kind of noble mopping-up exercise for human scum. The second response comes from the Gringo In Paralytic Fear. These gringos arrive at completely irrational conclusions about Mexico, claiming that the country is ‘unsafe’ to visit. Meanwhile, they might happily travel to American cities that are just as dangerous as Mexico, or even travel to a country like Jamaica, which is, in fact, more dangerous for tourists. There is also the matter of data sampling. This is an uncomfortable topic, but it is fair to raise, because there really are two sets of statistics. The first set includes Mexicans, and the second is exclusive to foreigners. If you look at the number of foreigners who live in Mexico, and also pro-rate annual data for visitors, the unavoidable truth is that Mexico is not that dangerous for non-Mexicans. Any foreigner who has spent extended periods of time in Mexico knows this to be true. For a municipal population of equal size in Canada or the US there would be multiple homicides annually – but these murders would not become national (or international) news. Sometimes the news reporting is bizarre. Recently, for example, two Canadians died by misadventure in a hot tub in Quintana Roo. The story was in most major Canadian outlets, and dominated the news cycle there, where it became some kind of weird ‘proof’ of how dangerous Mexico was. It was even reported by the British tabloids. Never drive at night. Is that clear? Some people make exceptions for familiar urban environments, or on the toll roads, but that would be to avoid the advice. And what was that advice be? DON’T DRIVE AT NIGHT. This has been solid advice since I first drove in Mexico 30 years ago. This is not just about bandits. There are black cows, black horses, black goats, and black sheep wandering the roads. There are also carts, trucks, and cars without tail lights. You never know when you will come upon debris. Driving at night is stressful, dangerous, and unnecessary. Never pick up hitchhikers. In Australia and New Zealand hitchhiking can be a great thing. People are generous. It’s a wonderful way to get around. Crime is low, and the criminals don’t really have anywhere to escape to. It still has risks, particularly for single women, but it is not the same as hitchhiking – or picking up hitchhikers – in Mexico. You don’t need to make it a judgment call if it’s a rule: DO NOT HITCHHIKE OR PICK UP HITCHHIKERS IN MEXICO. Don’t camp in remote areas. This can be tough, because surfers are always looking for new breaks, often in hard-to-get-to places. If you are near a village or family you are okay. It is as simple as that: if there is any sort of permanent Mexican presence, and they know you and are welcoming, you will be safe (at least your life will be – some kid might still nick something). But if you are at the end of a beach on your own, you have absolutely no societal protection. You are now ‘outside’ of that realm. Strangely enough, you are almost certainly fine during the day. But a remote beach in a tent at night…Not such a good idea.